To access part 1 of my Caly's Kitchen review, click here. 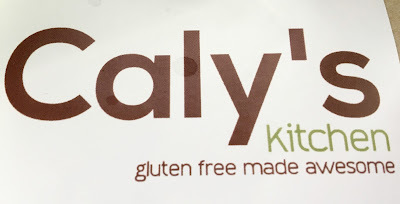 In my previous review of Caly's Kitchen, I reviewed the amazing banana bread and divine vanilla cake mixes from this allergen-conscious company. In this review, I'm diving in to their cookie mix line up with a review of three selections: chocolate chip, oatmeal chocolate chip, and snickerdoodle. What's really cool about Caly's Kitchen is that is was born out of a real family's struggle to find delicious baked goods that satisfied gluten and non-gluten eaters alike. 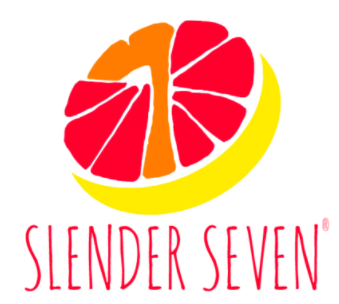 The mixes are also allergen friendly, making it easy for those with multiple allergies or intolerances to join in on the fun. There are very few items on my gluten-free wish list- products I used to love as a gluten-eating kid that I long for now. However, topping that list is the ever elusive soft pretzel. Thick, chewy, and dotted with course salt, nothing quite satisfies like one of these doughy treats, especially when dipped in mustard- a la ballpark style. I found bakery-made soft pretzels in Philadelphia on my visit a couple years back, which filled the gap, but also were a rare treat I couldn't enjoy all the time. I've tried frozen offerings here and there to no avail and am terrified by gluten-free soft pretzel recipes I see online that call for dozens upon dozens of ingredients in multiple, complex steps. 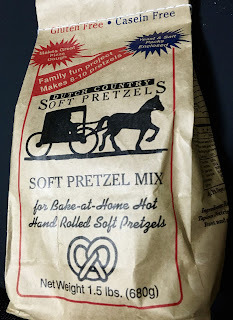 However, when I stumbled across Dutch Country gluten-free soft pretzel mix at Jungle Jim's Market in Cincinnati, my hopes were suddenly renewed. 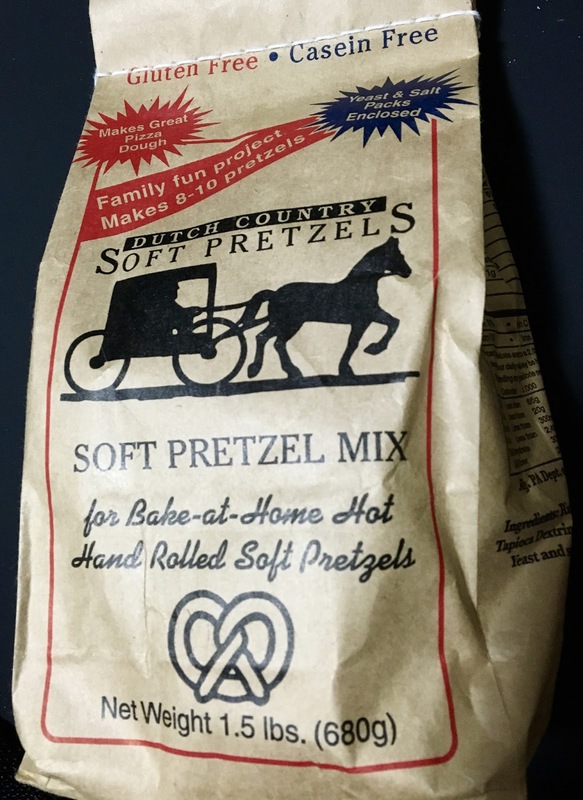 Could this simple-to-make mix be the answer to my years long search for gluten-free soft pretzels? As one of my most anticipated product reviews during baking month, I couldn't wait to roll up my sleeves and put the mix to the test. This installment in my baking month line up is a uniquely Floridian one, as the company behind this baking mix is the Bald Strawberry, a Melbourne cafe and bakery that I have frequented and fallen in love with. 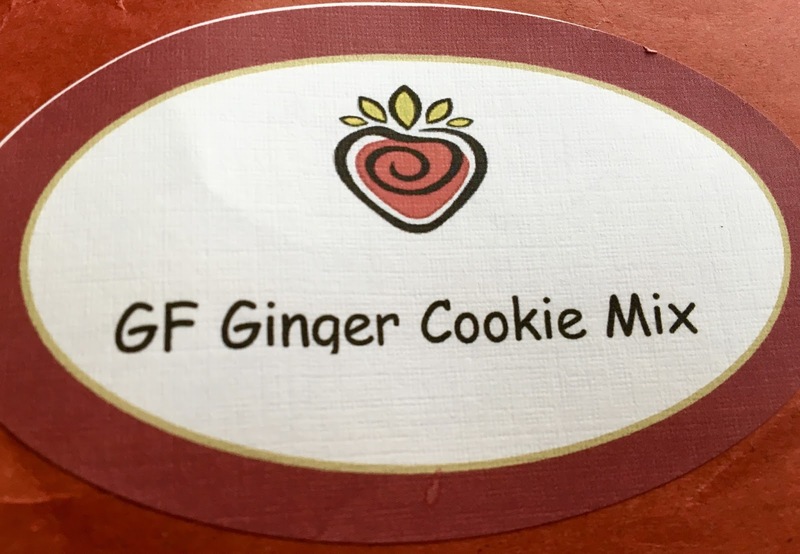 On my latest visit, I picked up a bag of ginger cookie mix to bring back with me to Maryland, a little bit of home. I waited until April to give the mix a go during my annual focus on all things baking and baked goods, and couldn't wait to see how it would perform. While Ginger cookies are typically thought of as a staple of winter, the cooler-than-average spring in Maryland proved to be the perfect backdrop against which to bake up a batch of these spicy-infused cookies. Because I've been sick the past couple weeks, my intentions to showcase all things baking this month have been sidelined a bit, as I have featured a lot of baked goods in recent posts. 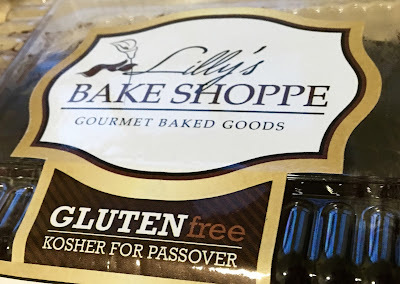 I do have a couple posts in the works to finish out the month strong, but have one more baked good post to throw in because of the timely nature of this featured company and their delectable products. With Passover occurring during April, I stumbled across an amazing display of gluten-free baked goods at my local Wegmans, incredulous that they had a dedicated display laden with macaroons, seven layer cake, and other treats that were certified gluten-free and Kosher parve, which means they are dairy-free too. Although I wish I could have bought more than two treats to try, I also knew that I couldn't possibly sample all of the sweets on display. As such, I picked up a chocolate roll and rainbow cake to sample for a baking month feature, eager to see if the cakes would taste as good as they looked. When it comes to baking mixes, I like mine to be made with quality ingredients, which means I make sure that I can pronounce every ingredient on mixes I buy. 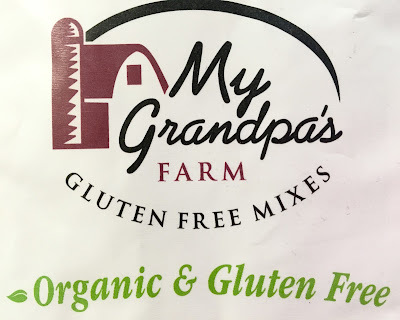 When I was looking for new-to-me brands to feature as a part of Baking Month, I stumbled across My Grandpas' Farm on Amazon and fell in love with their focus on gluten-free, organic, and top quality baking mixes. 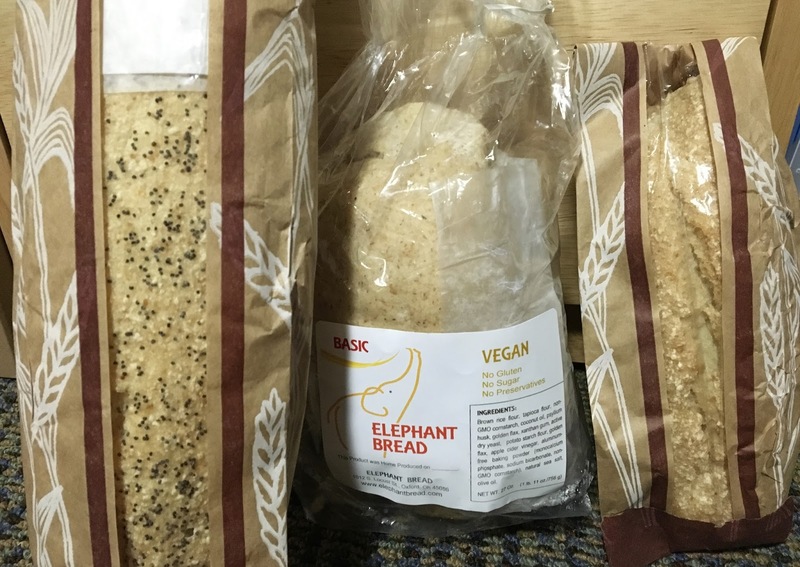 When I approached the company to partner up for a feature, they generously agreed to send me a sample of three of their mixes, which took the pressure off of me to choose from the multiple varieties of bread, cake, pizza, and pancake mixes the company makes. Not only did I receive samples, but I also received extras to giveaway to you, my readers. Once the shipment arrived, I couldn't wait to put the mixes to the test. 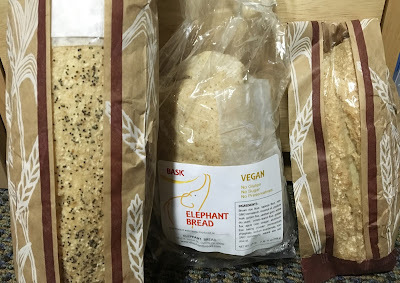 After breaking my trend of baking mix reviews with a bakery review, let's continue the trend with a review of Elephant Bread, which is a truly incredible company I discovered on my recent swing through Cincinnati over spring break. 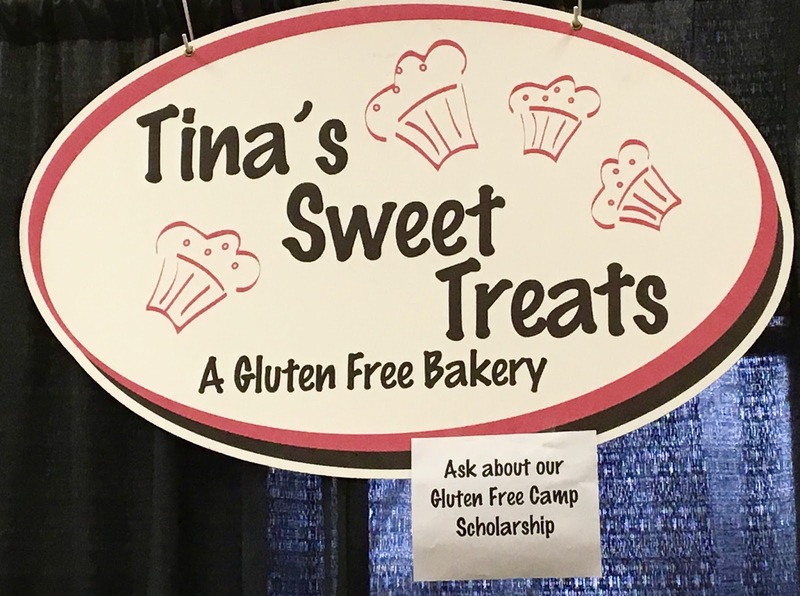 Founded by a local baker who had a firm belief that gluten-free bread can and should be delicious, this bread is truly homemade and crafted with care. 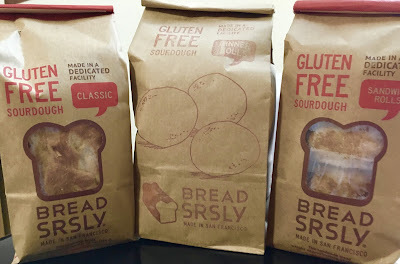 One of the few areas where gluten-free foods have not advanced by leaps and bounds is bakery-style breads. While you can find bread in just about every grocery store in the frozen aisle, all but a couple pass my test for "breadiness" which combines taste and texture. When it comes to special diet baking, the more accommodating, the better in my book. 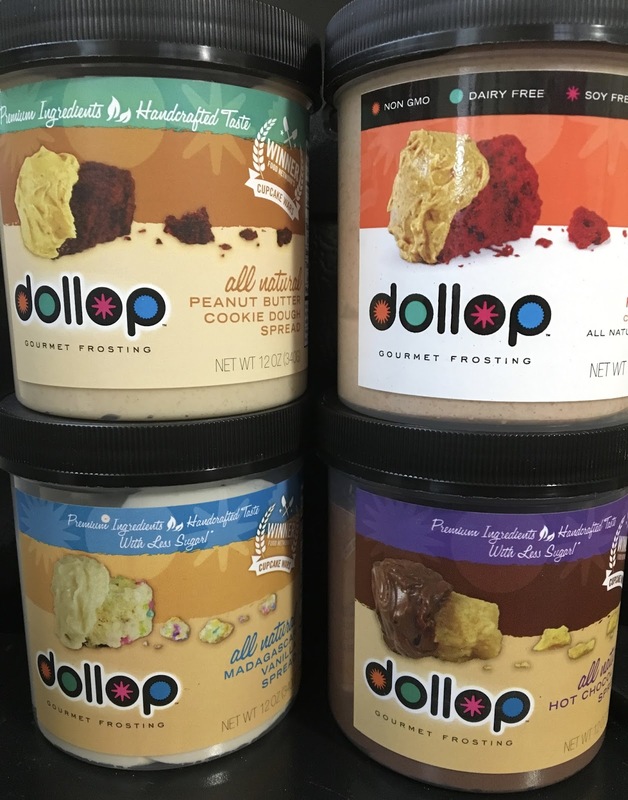 Not only do I look for mixes that are gluten and dairy-free, but also seek out ones that are vegan, non-GMO, or multiple allergen-free so that I can share my treats with friends who have various dietary restrictions. I reviewed EatPastry's chocolate cake mix last month, showcasing it despite the fact that the mix has been discontinued. While doing some "grocery store tourism" over spring break, I stumbled upon two more in the line up: the muffin and buttermilk biscuit mix. What makes this collection of mixes so wonderful is that they are certified gluten-free, non-GMO and vegan. Since they don't call for eggs or egg replacements, the preserve their vegan identity. What stands out to me is that their smaller packaging size means that the resulting amount of baked goods is reasonable- not too much, not too little. If there's anything more amazing than homemade baked goods, it's eating cookie or brownie dough raw. While this is generally not advised due to the risk of salmonella from raw eggs, one of the joys of allergen-friendly baking is that eggless recipes and products leave the field wide open to consume all the raw dough your stomach desires. Of course, that means that the ending amount of cookies you have is deeply diminished, as less batter actually makes it in to the oven. I guess it's a small price to pay for the indulgence of raw dough. Enter Slender Seven, a local D.C. company producing raw cookie dough that's meant to be eaten that way. Not only that, this dough is designed to be better for you, using only seven simple ingredients. Beans, almonds, coconut oil, and Himalayan sea salt are just four of the seven, but don't let their health halo fool you- this cookie dough is just as indulgent as the junk-filled dough on store shelves. 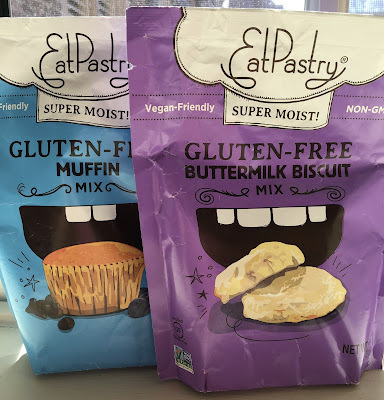 As much as I love discovering new baking mixes out on the market, I really love when brands I already know and love expand their gluten-free offerings. Such is the case with Scratch and Grain Baking Company. 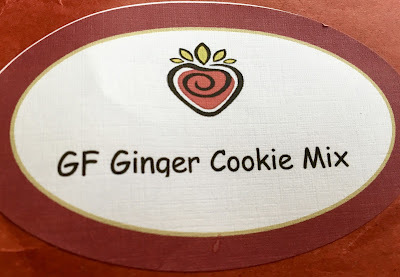 I previously have reviewed their gluten-free cookie mixes (link here) and really loved their novel approach to baking. 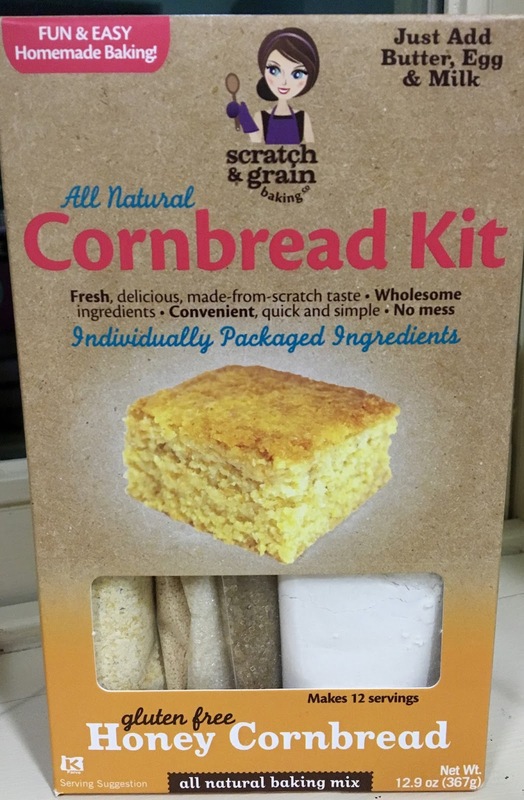 With all the convenience of a prepackaged mix but the step-by-step methodology of from-scratch baking, Scratch and Grain definitely inhabits a unique niche of baking products. As a relatively new converted cornbread enthusiast, I have sampled only a handful of gluten-free cornbread preparations. I like to always have cornbread muffins on hand in my freezer because they are always a quick fix for breakfast or dinner. What's so cool about Scratch and Grain's mixes is that each ingredient is individually packaged and portioned so that you as a home baker can customize your creation. Want to cut down on sugar? Only add half of the allotted amount. Need to bake a vegan cornbread? That's okay, alternate directions are included. Want to jazz up the cornbread to wow your dinner party guests? Add creamed corn, jalapeño, cheese, or bacon to give the cornbread more subsistence. The choice is yours.